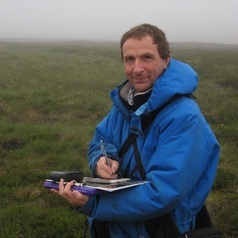 Richard Lindsay is an internationally respected specialist in the ecology and conservation of peatland ecosystems, and is also responsible for running the MRes in Environmental Sustainability. He leads on the SRI’s portfolio of research and consultancy for peatland management and conservation and has been responsible for assembling and presenting several key peatland conservation cases and management and monitoring programmes at both national and international level. Richard joined UEL in 1997 to re-shape and update the university’s conservation degrees and his graduates have since gone on to work for conservation agencies in the UK, Mexico and China. Prior to his time at UEL, Richard worked for over 20 years in professional nature conservation.